Farmington High School and football coach Walter Grebe produced a second straight unbeaten season in 1946 when the Farmers raced through a 10-game schedule unstopped. With Bill Tuttle, later to be a major league baseball standout for 11 years with three American League teams, at quarterback, Farmington used a torrid attack and a rugged defense to produce a truly momentous season. A 13-0 win over Chillicothe was the closest game of the season and long-time rival Canton was blitzed 26-0 in the annual season-ending game between these two old rivals. For the season Farmington scored 295 points, allowed just 19 and produced an amazing eight shutouts. Waddell has played a prominent role in the advancement of women’s athletics as an athlete, coach and administrator. A 1978 inductee into the Illinois State University Athletics Hall of Fame, Waddell earned 16 varsity letters at ISU, playing basketball, field hockey, softball and volleyball for the Redbirds. After graduation, Waddell continued to compete by playing women’s major fast pitch softball for the Pekin Lettes from 1958-63. She also was a member of the Central Illinois Field Hockey Association and the Midwest Field Hockey Team, earning selection to the second EAM All-National Tournament. She also continued her basketball career as a starter for the Peoria/Pekin Independent AAU Basketball Team that won several Illinois AAU state tournaments and competed in national AAU events. 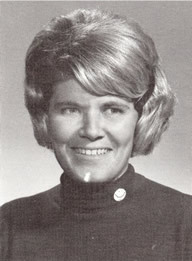 Waddell served as site director for the IHSA state softball tournament in Pekin for 25 years and she was the originator and co-director of the Pekin Lassie League softball program, which is credited with providing youth sports opportunities for girls before high school programs gained varsity status in the 1970s.